Our team brings with it a rich base of practical and academic experience in finance, accounting, management, and technology, giving us a unique background upon which to build intelligent and relevant solutions to meet your financial needs in the ever more complicated world of today. Our team brings with it a rich base of practical and academic experience in technology, finance, accounting, management and education, giving us a unique background upon which to build exciting and relevant solutions for today's digitally savvy consumers. Christine Van Meter, M.B.A., E.A. With a MBA from Boston University and over 25 years in the financial and insurance industry, Christine has successfully helped many clients to prudently accumulate wealth while in their working years, to happily live on that wealth in their retirement years, and eventually to effectively pass that wealth on to their chosen heirs without unduly enriching the government. As a former Army paratrooper who reached the rank of Captain and served in several critical staff positions, Christine is used to helping people plan and make informed decisions. But as a mother of six and a business owner in the Mohawk Valley, Christine also knows the way that life can throw an unexpected curveball to upset the best-intended plans. For both of these reasons, Christine prides herself on helping clients to create realistic paths to achieving their financial dreams. Even though she grew up on a beef farm in Upstate New York, Christine began her financial industry career in Boston at the Bank of New England in 1988 before relocating back to Central New York in 1994, where she worked with Fleet National Bank, the Herkimer County Trust, Savings Bank of Utica and Partners Trust in capacities ranging from operations to branch manager to investment representative. In 2007 she joined Cadaret, Grant as an independent financial advisor. Christine is actively involved in the community: she serves in the Little Falls Rotary Club, she is the organizer of the annual Christmas in Little Falls festival, a founding member of both Main Street First and the Think Local Little Falls Committee, and the organizer of the Little Falls Community Garden. She supports her children in sports, and has coached numerous community soccer teams and softball teams. Christine also enjoys bicycling and running, and she completed her first Boilermaker 15K Road Race in 2010. View Christine's Resume. David Van Meter, M.S.Acc., Ph.D., E.A. After growing up in Las Vegas, David served his country as an Army intelligence officer with the 101st Airborne Division, and then earned a M.S. in Accountancy from SUNY-IT and a Ph.D. in History from Boston University while choosing to settle in Little Falls, New York, to raise his six children in a friendly, small town environment. As an author of numerous books on the history of money, with a particular focus on ancient Greek and Roman coinages, for over twenty-five years David has studied and written about the development of wealth, fiscal policies and taxation. He has researched exactly what determines value over the short and long terms, in many different types of economic conditions. Believing that history does in fact repeat itself on a regular basis, David uses his knowledge to help clients identify and find the financial stability they need, and stop yo-yoing between the latest "hot" financial products and fads. David, who is an Enrolled Agent licensed to practice before the IRS, also heads up the income tax preparation work at Van Meter & Van Meter, LLC. As our nation's tax code grows more complex and less predictable seemingly every year, many of our clients take comfort in turning to David for professional and ethical assistance in planning and preparing their income tax returns. David believes strongly in community development, and at one point he took several years off to serve as a VISTA Volunteer in the inner city of Utica where he helped found a hospice for terminally-ill AIDS victims. Lately his community involvement has been much less dramatic, ranging from the Little Falls Rotary Club to teaching Sunday School, and he has served on numerous civic, faith-based and municipal boards to include the Abraham House, the Mohawk Valley Center for the Arts, the Friends of the Herkimer Home, and the City of Little Falls Planning Board. Dave's hobbies include bicycling, weight-lifting, and classic role-playing and strategy games. View David's Resume. Cathy was born and raised in Little Falls. She brings over 15 years of banking and financial experience to Van Meter and Van Meter, LLC. Starting her career with Herkimer County Trust, Cathy worked in multiple capacities ranging from teller to branch manager throughout her tenure with HCT, SBU, Partners Trust, and M&T Bank. During her banking career, Cathy gained the trust of her clients and continuously strived to help them gain financial knowledge and piece of mind. After leaving M&T Bank, Cathy joined M. Griffith Investment Services, Inc as an executive assistant to the president of the firm. While there, Cathy grew her knowledge of financial planning and understands the importance of looking at the "big picture" when assisting clients towards their financial goals and dreams. Taking the time to learn about each individual client allows her to recommend the best plan for the client and their family. She is also licensed to assist clients with their insurance needs. Legacy planning is a wonderful way to leave an impactful imprint for your loved ones or favorite charity. Cathy and her husband Bill run their family business and take part in numerous community events through the year. Cathy has also been actively involved in the youth of the valley through sports; she coached girls' volleyball in Frankfort-Schuyler for 14 years before returning to her alma mater to coach within their boys' program. Her hobbies include traveling and exploring new foods. Welcome to scenic Little Falls, New York, an historic town nestled on the banks of the Mohawk River and Erie Canal. To learn more about the exciting recreational, cultural and heritage tourism opportunities in our fine city, visit the ExploreLittleFalls.com website! To learn more about the many shopping and dining opportunities in our fine city, visit the ShopLittleFallsNY.com website, where you find a directory of businesses, complete with reviews and profiles. If you are visiting Little Falls for just a day or two, then this brief shopping guide will help you plan your time by showing you where to go to find the shops and deals that will delight you the most. 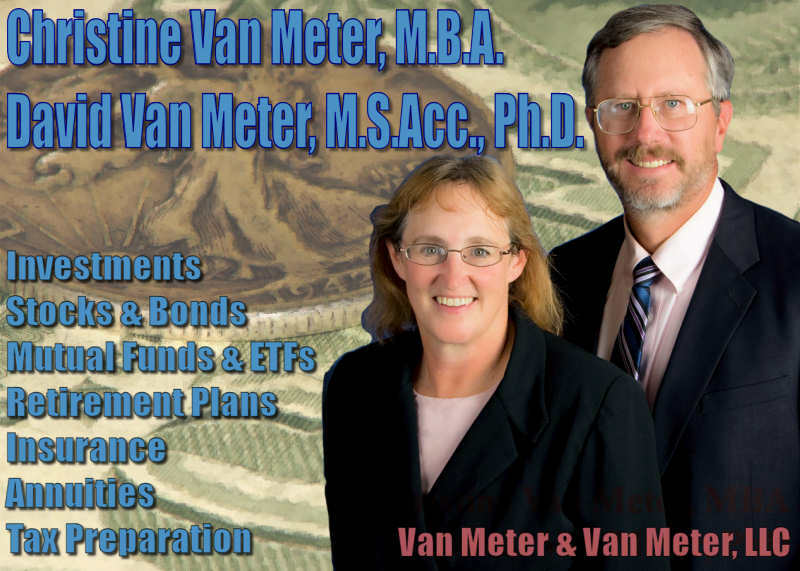 Van Meter & Van Meter, LLC is a proud sponsor of the Annual Canal Celebration in Little Falls. Now in its third decade, the Canal Celebration is a week-long family-friendly street festival in honor of our community's rich cultural heritage and the waterways that made New York great.